While Hofner is releasing their new Contemporary Series Verythin Bass with its classic Hofner tone, Fender is releasing a bass on the other side of the spectrum. A bass to appeal to the modern player. The new Fender Modern Player Jaguar Bass is really supposed to appeal to today’s bassist. With that instantly recognizable Jaguar shape, this bass really catches the eye. 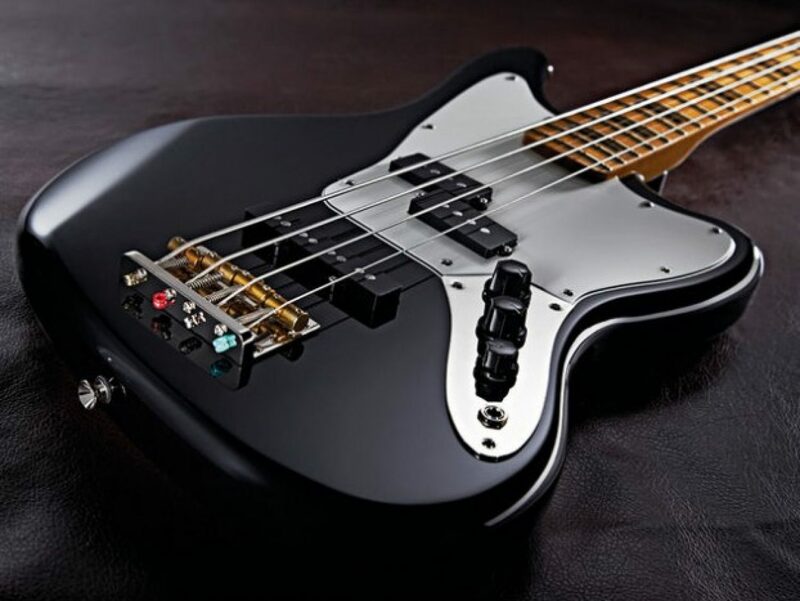 Fender has gotten rid of a lot of the controls that are often found in the Jaguar series, and instead opted to present a bass that is somewhat modeled on the Jazz bass, but gives the versatility of a Precision/Jazz pickup combination. The new bridge on the bass also improves on tone and sustain of previous models of Jaguar Bass. The circuit in this model of Jaguar Bass is of course simplified quite a bit, but this may actually make the bass appealing to more bassists. While the circuit may be simplified, the bass still sounds excellent. The combination of Jazz and Precision pickups is amazingly well done, giving a great punch. Not only that, but the Modern Player Jaguar Bass sure can growl. The Modern Player Jaguar Bass is the 7th Jaguar Bass, with there currently being 4 Squiers and 3 Fenders available. Unfortunately there is currently only one color option available – black. Despite that, this bass should appeal to a very wide range of players, and is affordable yet great sounding.